The medium Writers Journal accommodates B6 size notebooks (About 5x7”). 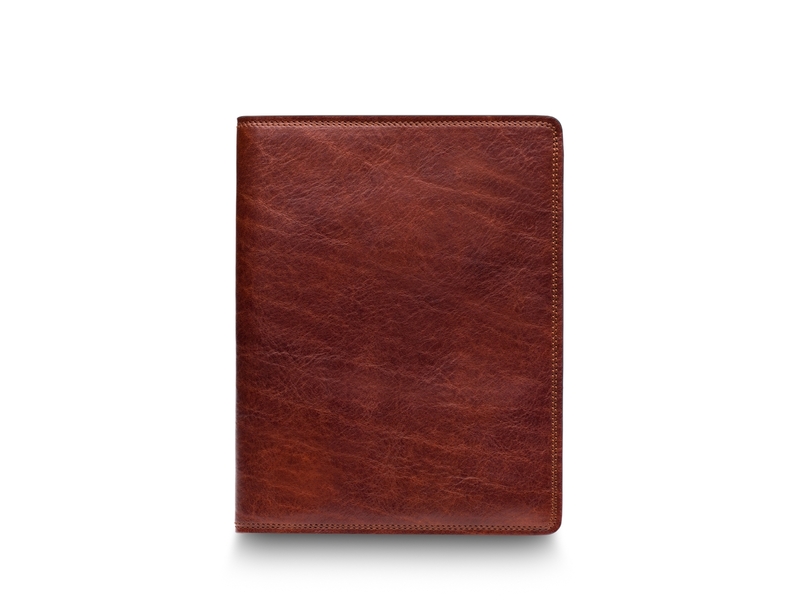 This all leather notebook cover sings of quality from corner to corner, and shows you just how beautiful a journal can be. 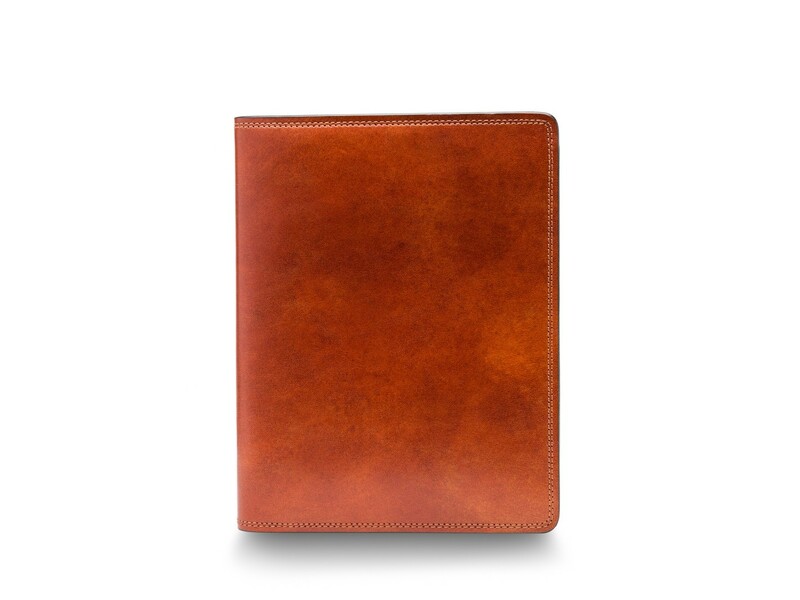 Let the supple hand-stained Italian leather jumpstart your creativity and encourage you to jot down all your important ideas, notes, lists, etc. The leather and elastic pen loop sits just inside the edge of the book for a clean look; the loop accommodates most pens, even larger fountain pens (Up to 16.5mm in diameter). You won't want to stop writing! Included with the medium Writers Journal is a 120 page B6 Notebook with dot grid ruled paper. Heavy and smooth, this “no-bleed” paper will satisfy even the pickiest of paper lovers. The dot grid is perfect for notes as well as sketching. 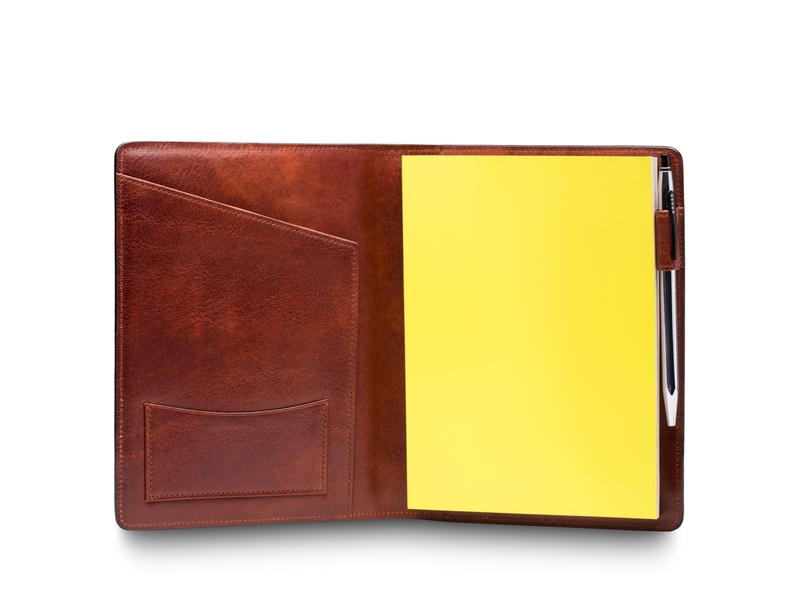 You can also replace this notebook with any B6 size notebook that you wish.